When will be Lone Star Restoration next episode air date? Is Lone Star Restoration renewed or cancelled? Where to countdown Lone Star Restoration air dates? 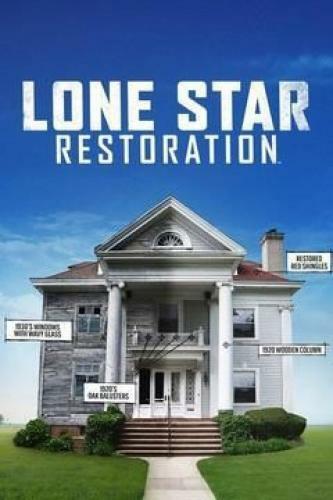 Is Lone Star Restoration worth watching? Lone Star Restoration follows five of the best restoration shops in the United States as they not only restore pieces of America's history, but create new and awe-inspiring works from vintage items. Each shop has a unique focus—from classic cars, to rare antique signs, to one-of-a-kind bikes. They'll prove their prowess as masters of restoration, while exploring each item's original glory, place in history and effect on pop-culture. Fulfilling a lifelong dream, Brent restores a 1951 Century Sea Maid wooden power boat; a college needs Brent's help uncovering underground tunnels dating to when the property housed a secret casino frequented by movie stars and gangsters. Brent is bringing Pennsylvania to Texas when he gets a job to build an original Pennsylvania Stone Farmhouse deep in the heart of Texas. Meanwhile Brent's own rundown kitchen is getting restored. After years of being a bone of contention between Brent and his wife Krissy the moment of truth has arrived and Brent has agreed to let Krissy redo their kitchen as long as she stays on budget and he does not have to be involved. Needing a break Brent and his teenage son Jackson head out to a car auction because besides historic buildings Brent is just as passionate about old cars. Brent repairs an old building that was once a bank and a brothel, transforming it into a one-of-a-kind bar while keeping all its original architectural details; Brent visits a client who claims to have a haunted basement and attic. Brent races against the clock to finish restoring a 1920s vintage house; Brent fixes up a set of rocking chairs that sat on his front porch for decades. Lone Star Restoration next episode air date provides TVMaze for you. EpisoDate.com is your TV show guide to Countdown Lone Star Restoration Episode Air Dates and to stay in touch with Lone Star Restoration next episode Air Date and your others favorite TV Shows. Add the shows you like to a "Watchlist" and let the site take it from there.